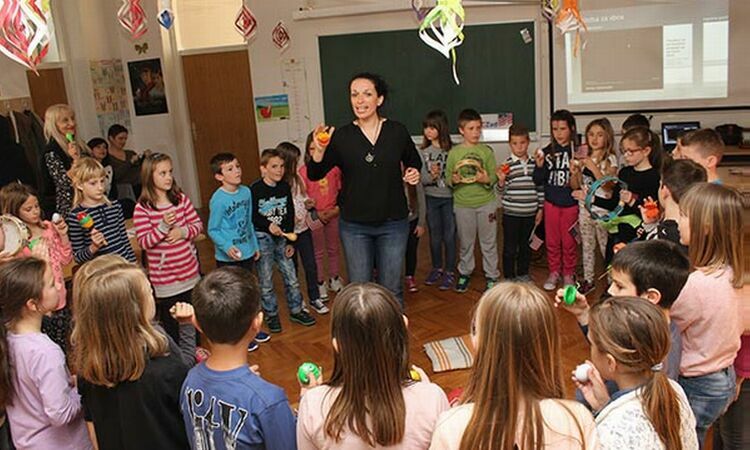 Are Private Schools Better than the Public Ones? 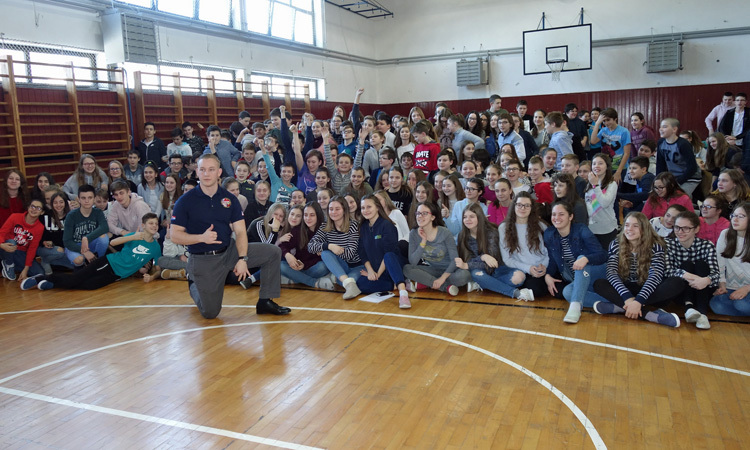 How Many Uniforms Do You Have? 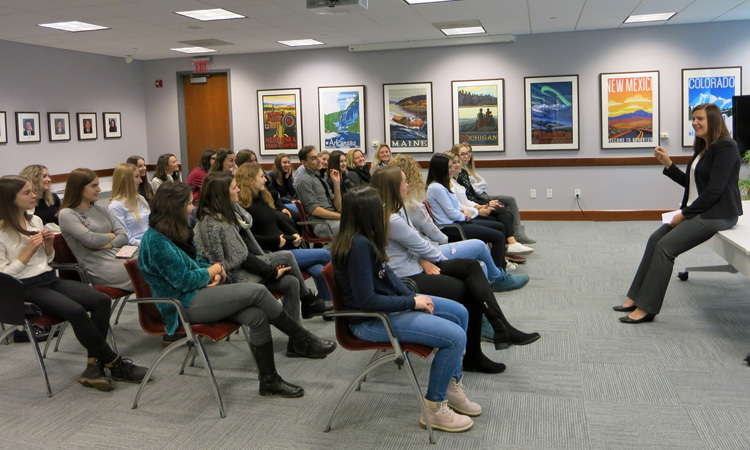 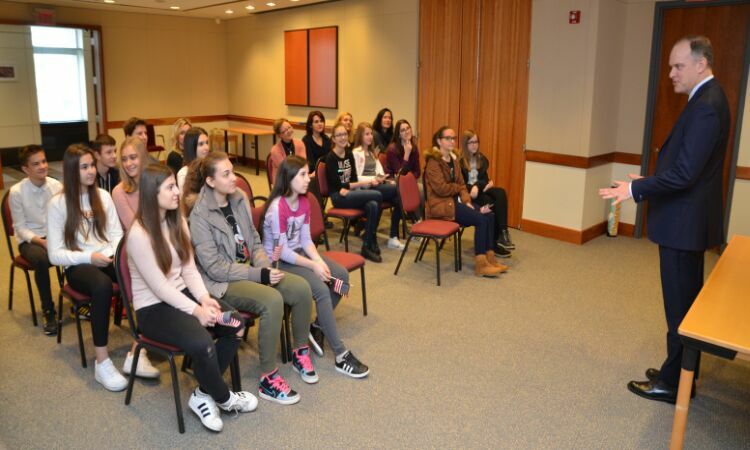 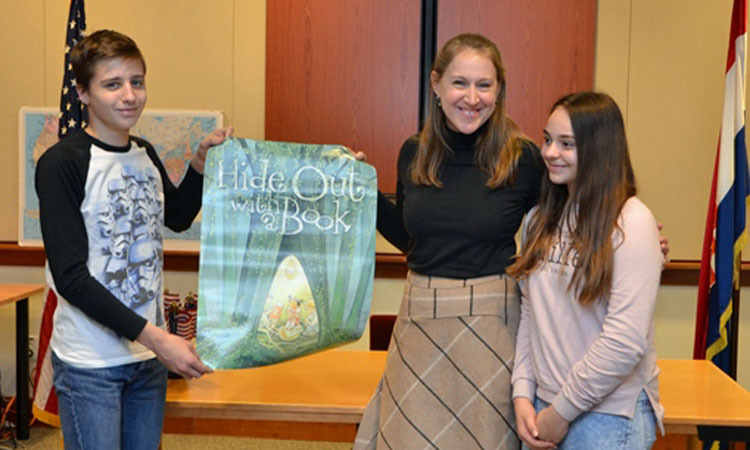 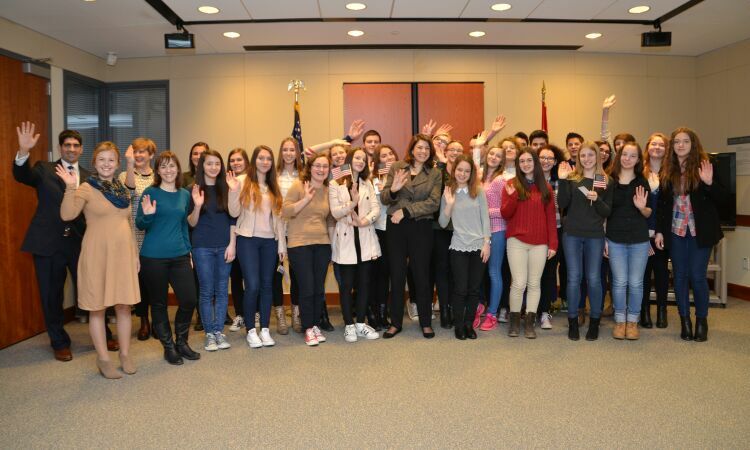 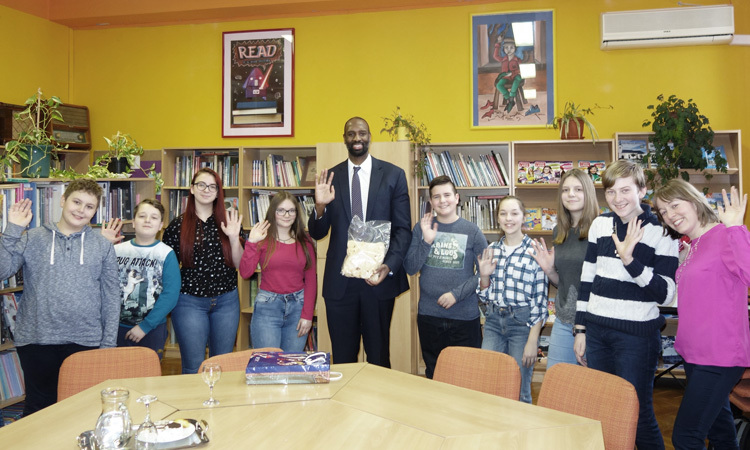 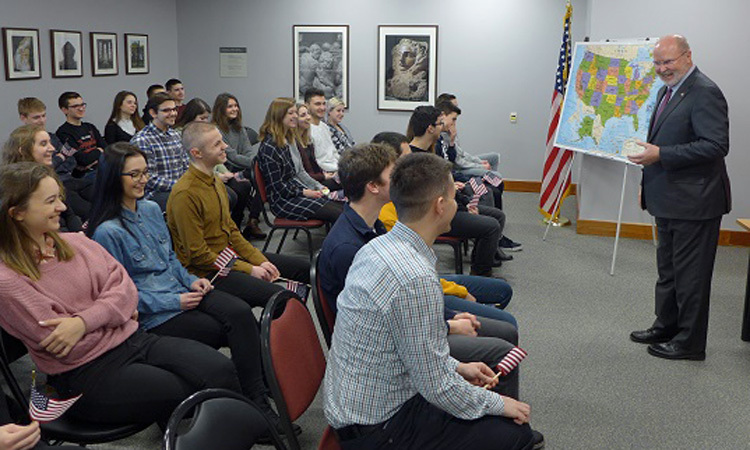 Laura Djuragic, Assistant Public Affairs Officer, and other Embassy representatives met with a group of students from Belica, Medjimurje County, who visited the Embassy on March 14. 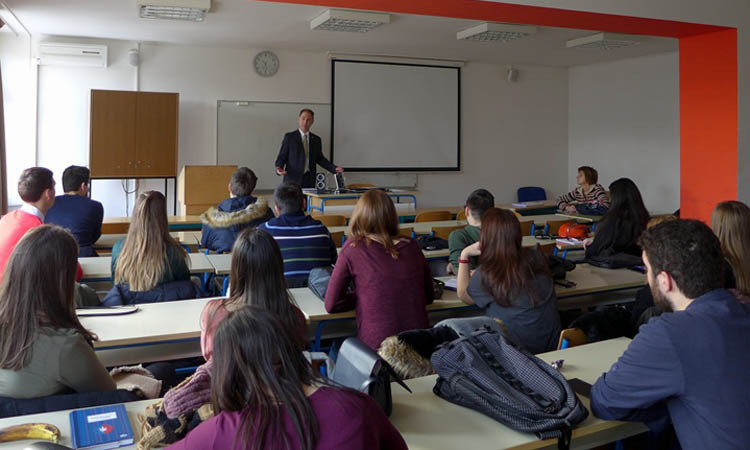 Eric Williams, Political Counselor, delivered a lecture on “Post U.S. Elections” to a group of undergraduate students at the University of Zagreb Faculty of Political Science on January 19, 2017. 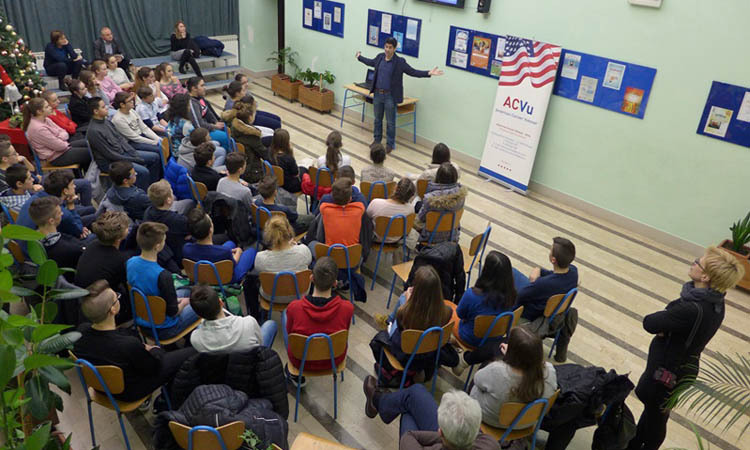 Students were interested in a variety of issues the new American administration will have to deal with. 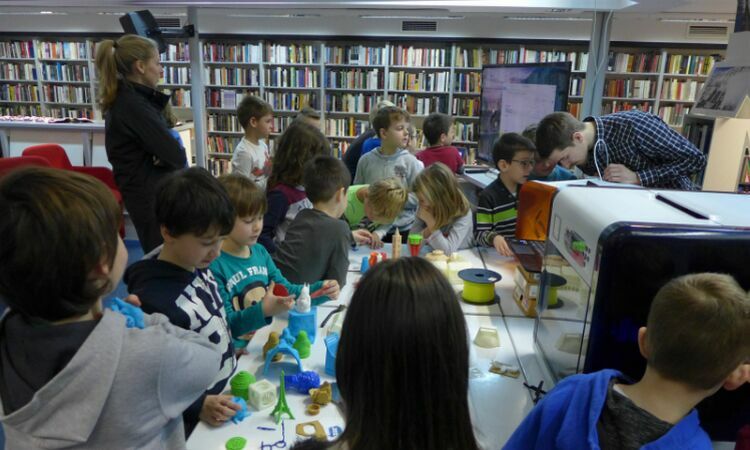 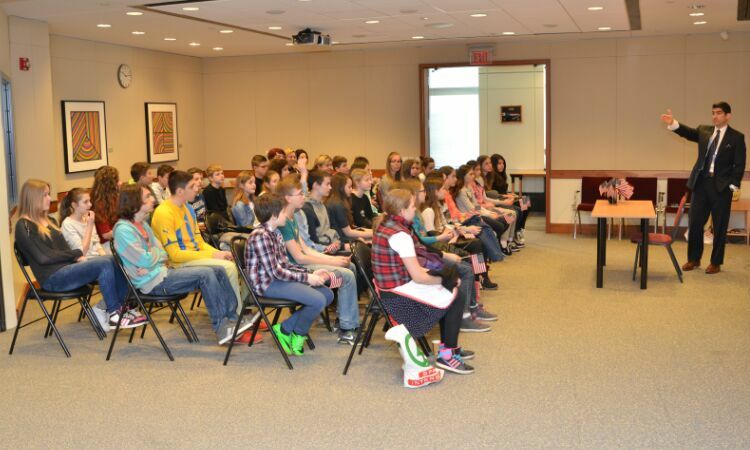 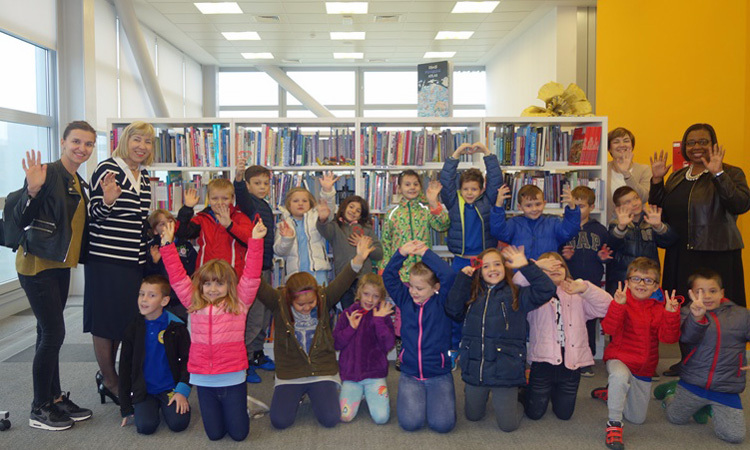 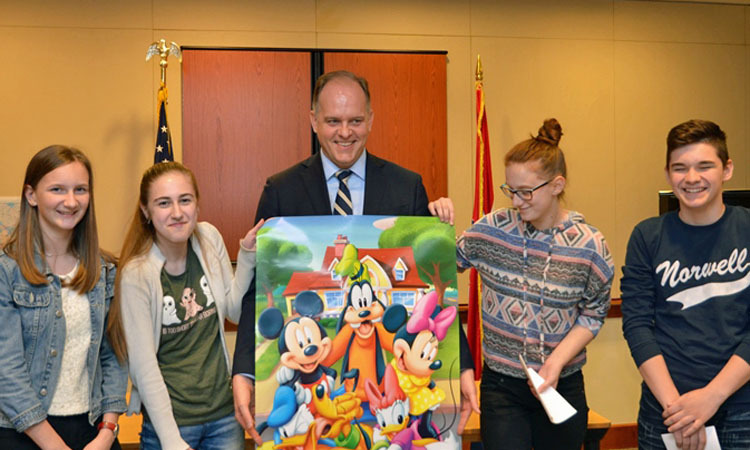 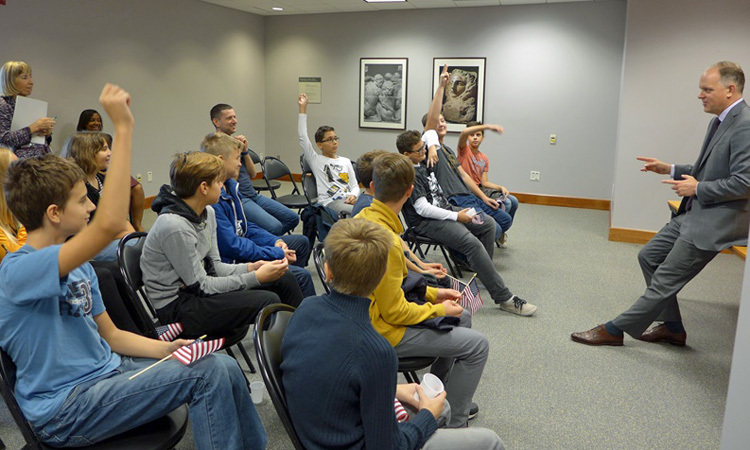 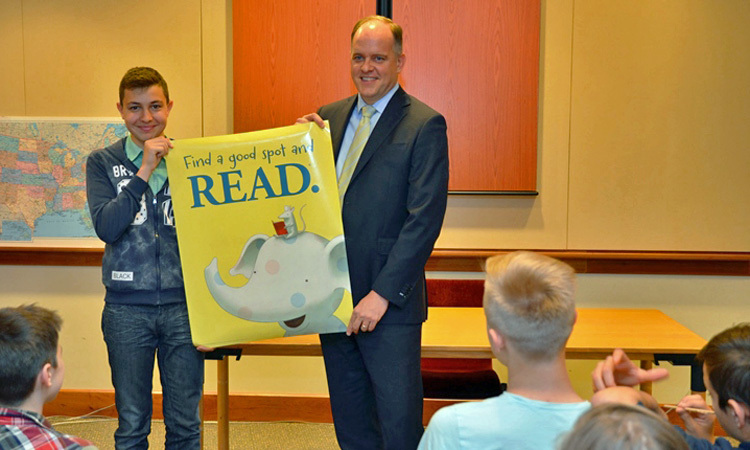 Ambassador Noyes met with a group of elementary school students from Oroslavje, who visited the Embassy on November 8. 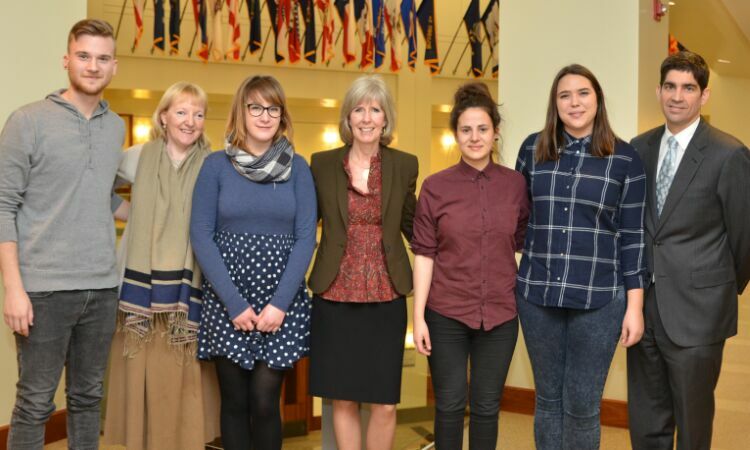 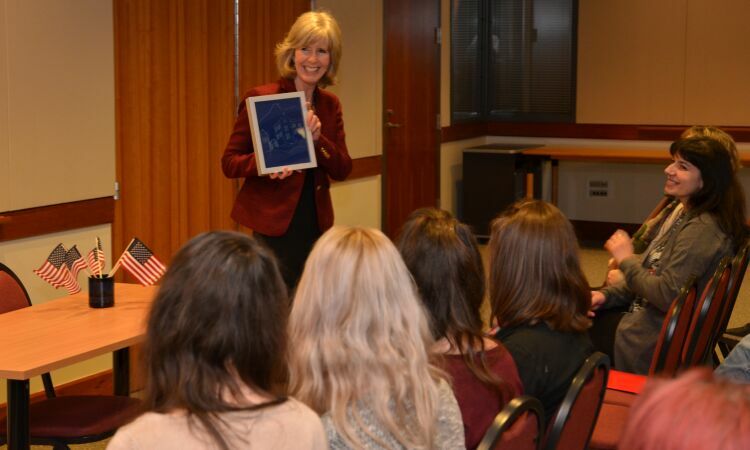 Students had a chance to talk to the Ambassador about a range of issues. 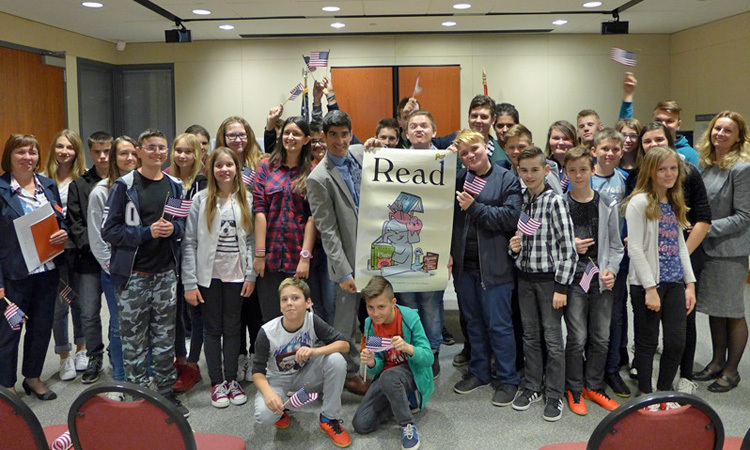 During their visit, students met with other American diplomats and talked to the Marines about their life in Croatia. 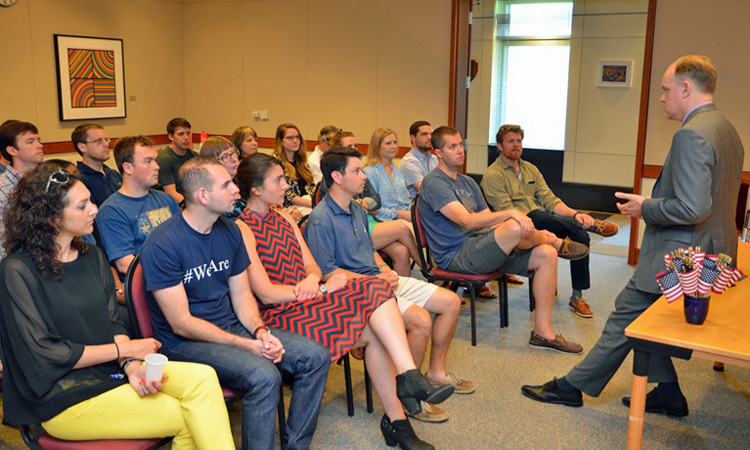 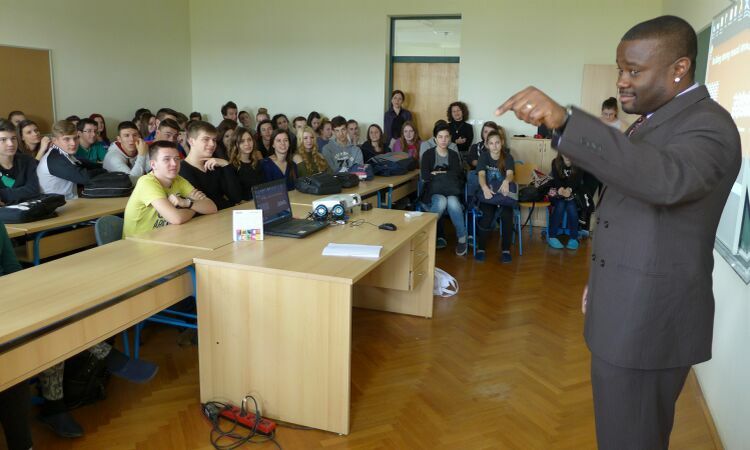 Eric Williams, Political Counselor, delivered the last in a series of lectures on U.S. 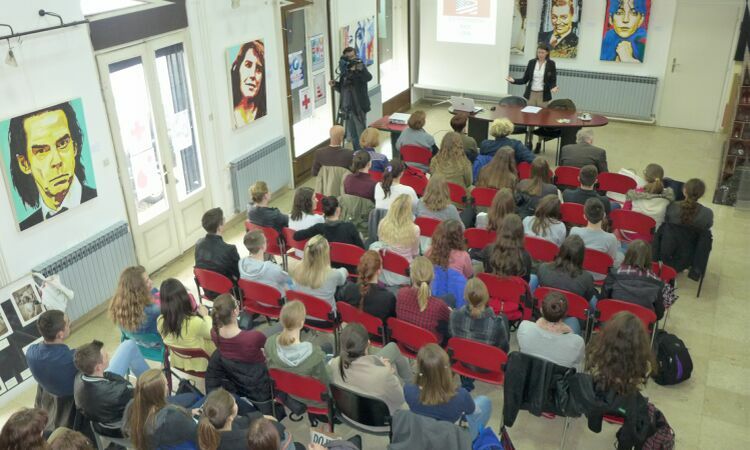 Elections to a group of high school students in the town of Čazma on November 7, 2016. 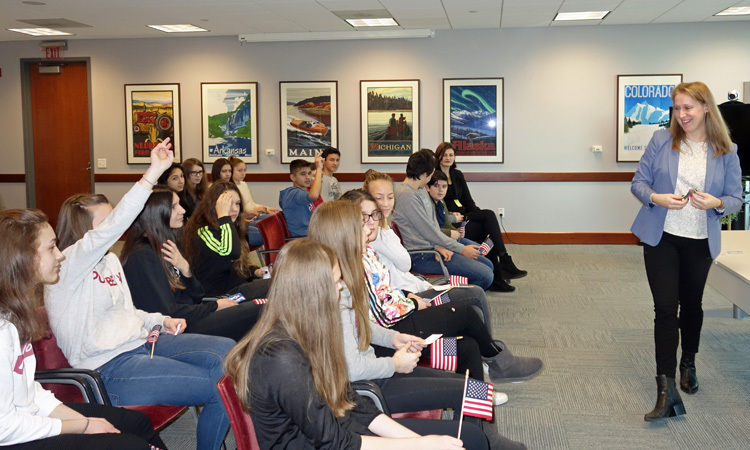 Students were interested in the differences between Republicans and Democrats, and in the importance of swing or battleground states. 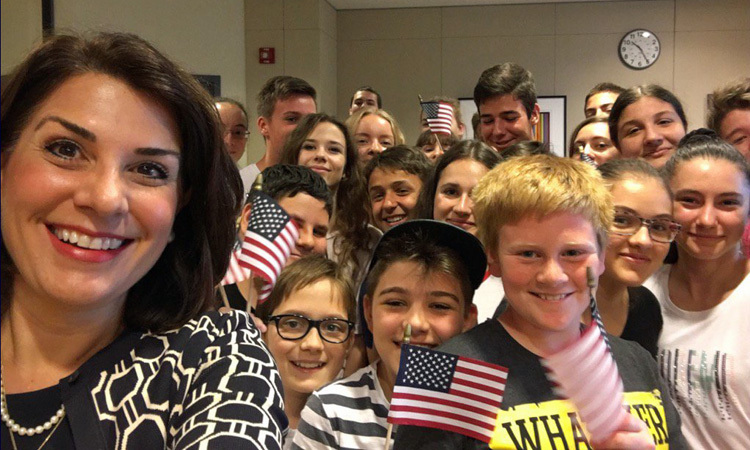 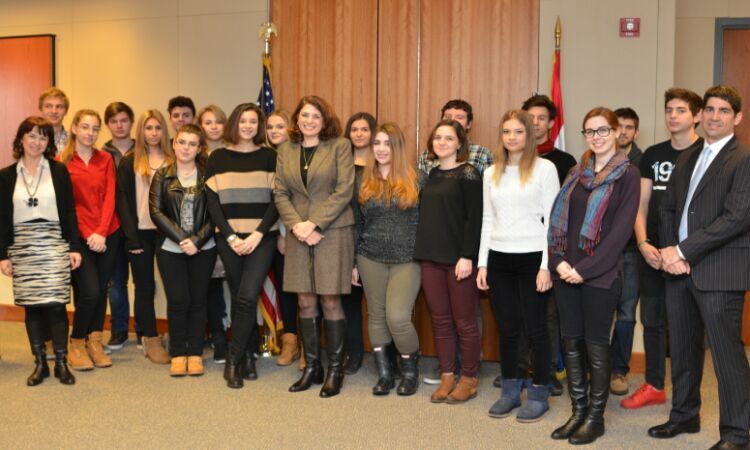 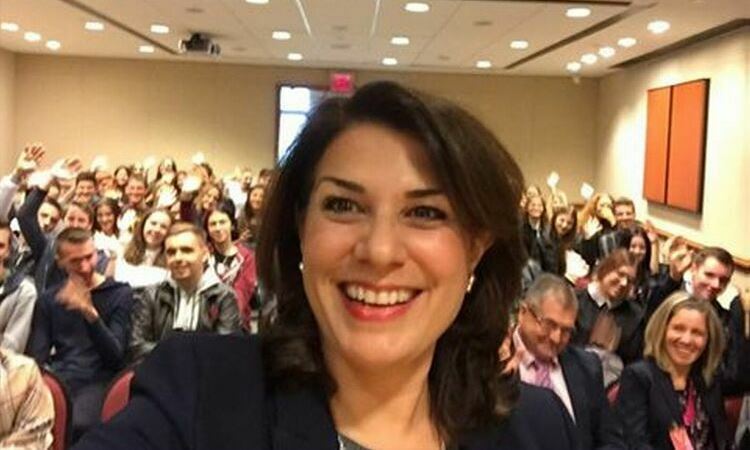 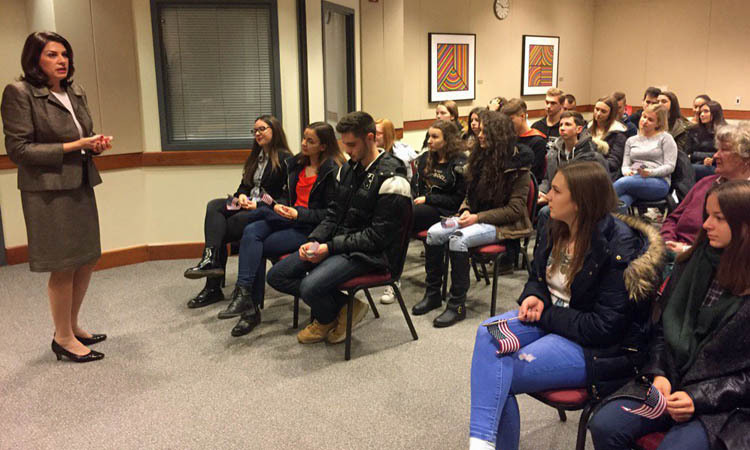 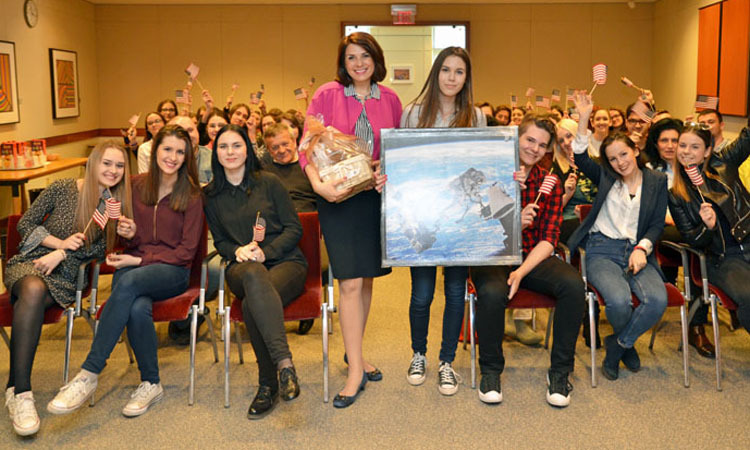 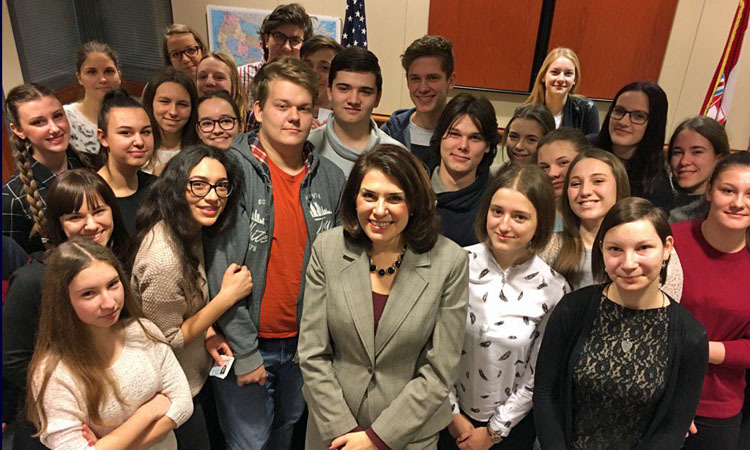 Ambassador Julieta Valls Noyes met with a group of high school students from Slavonski Brod during their visit to the Embassy on October 11. 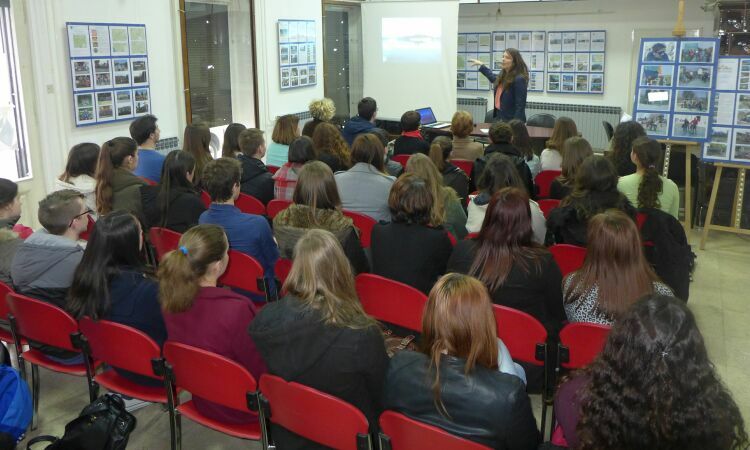 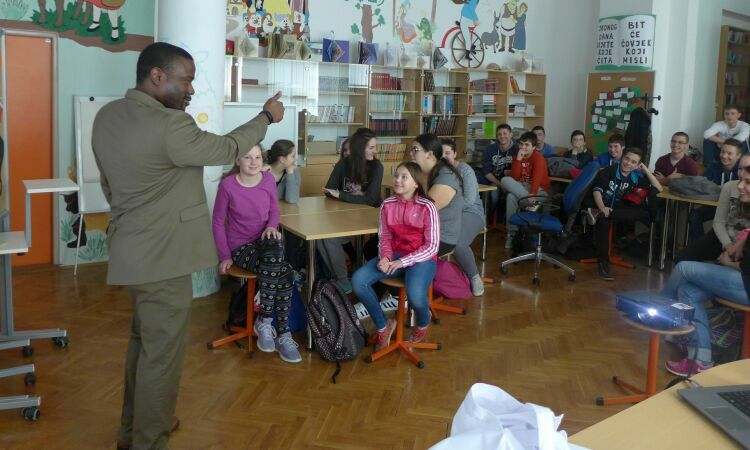 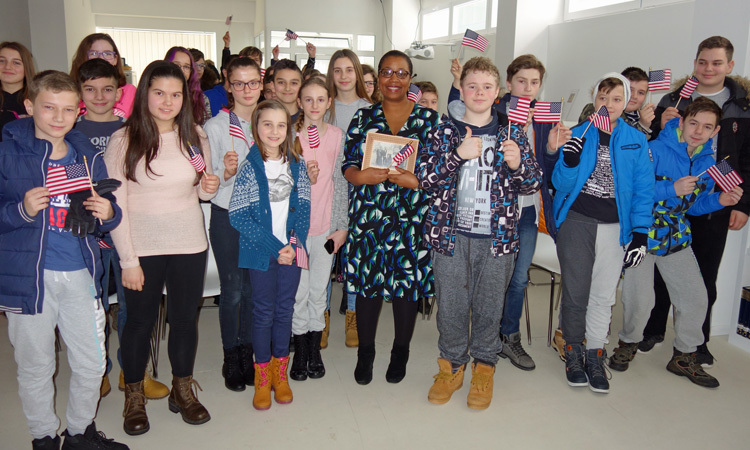 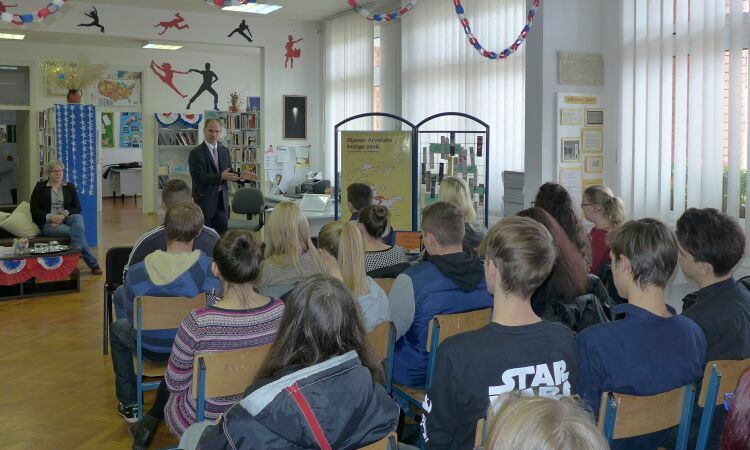 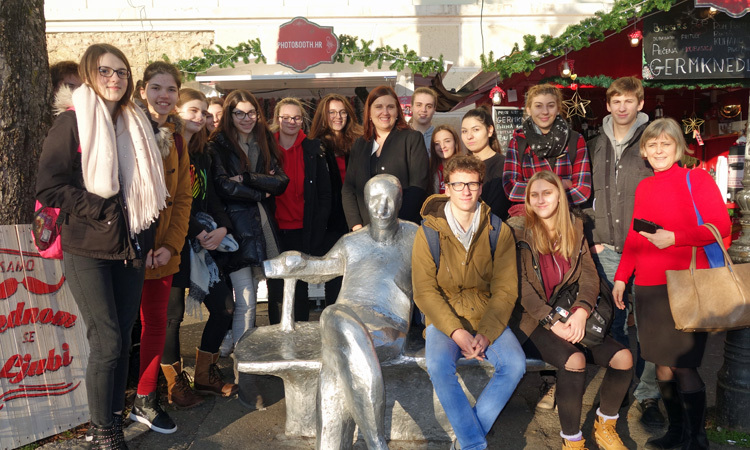 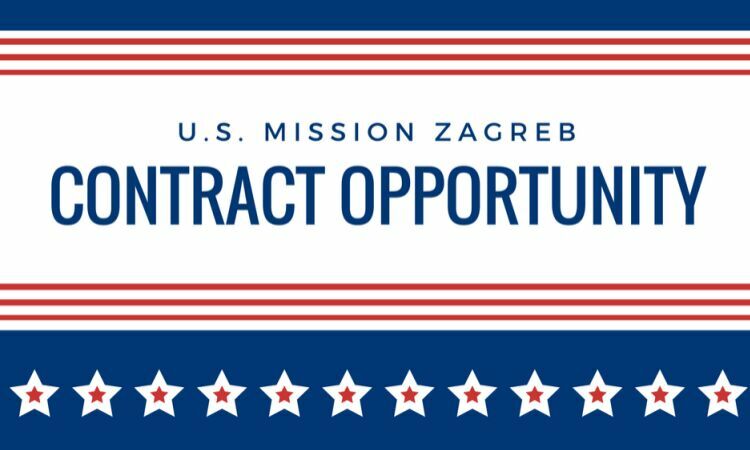 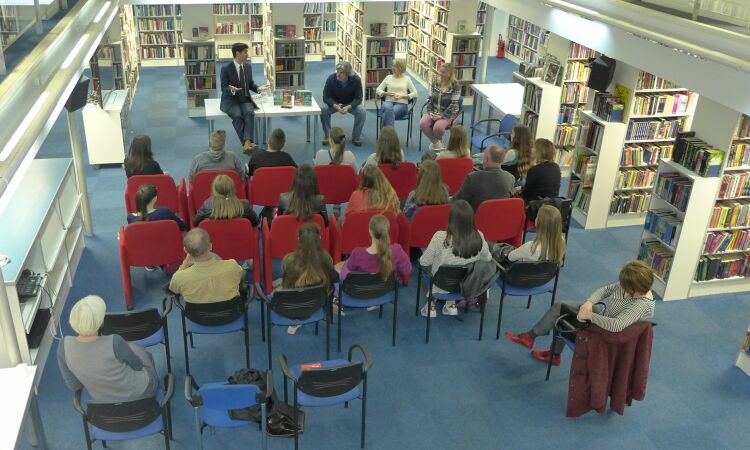 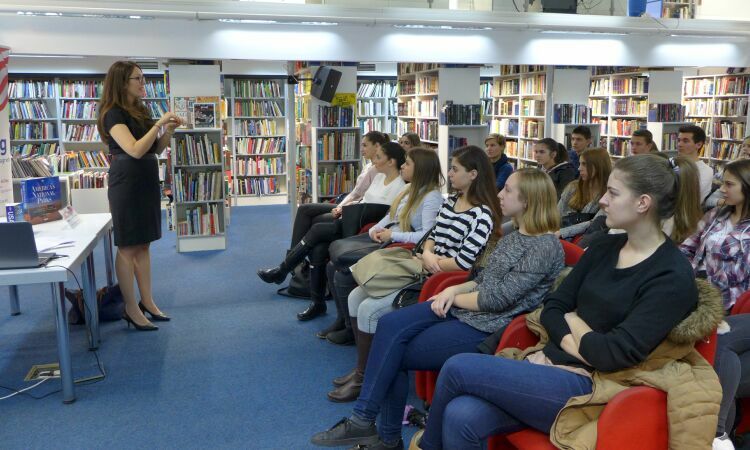 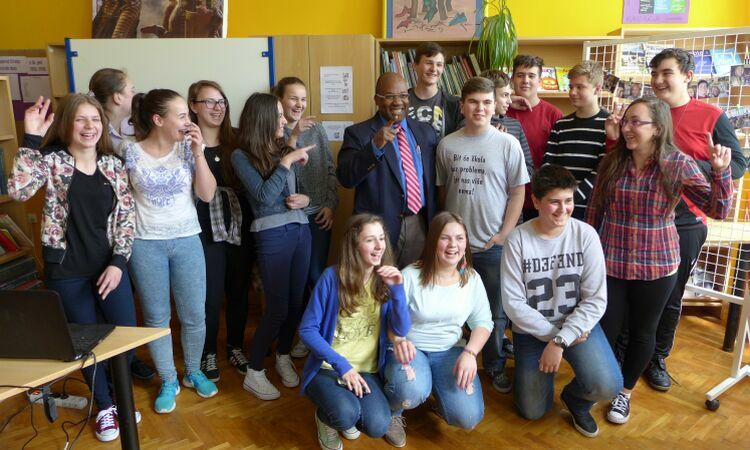 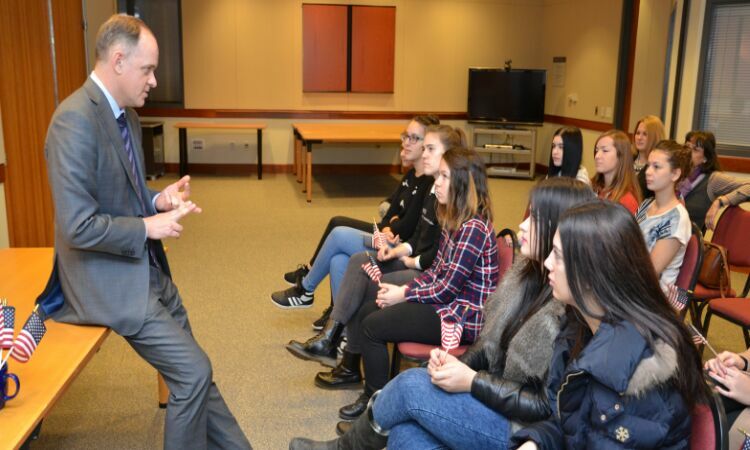 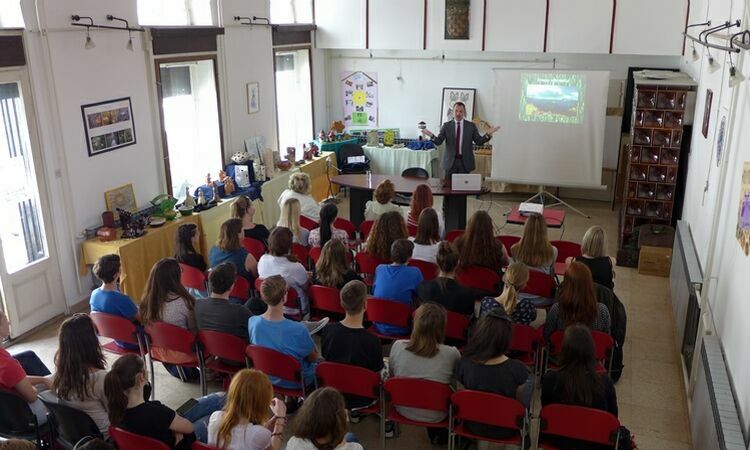 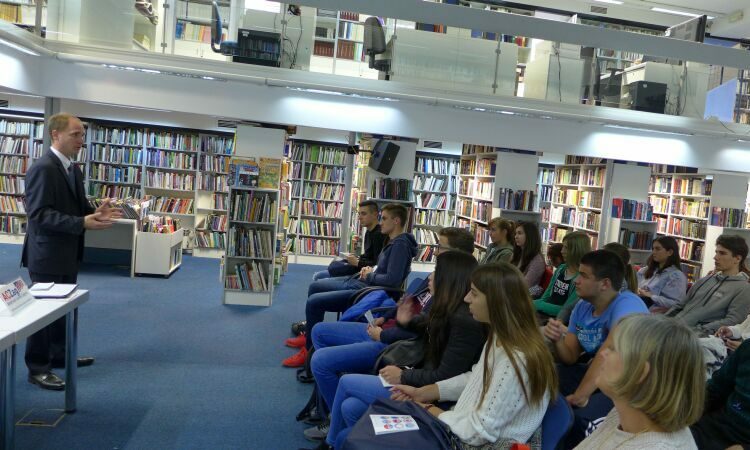 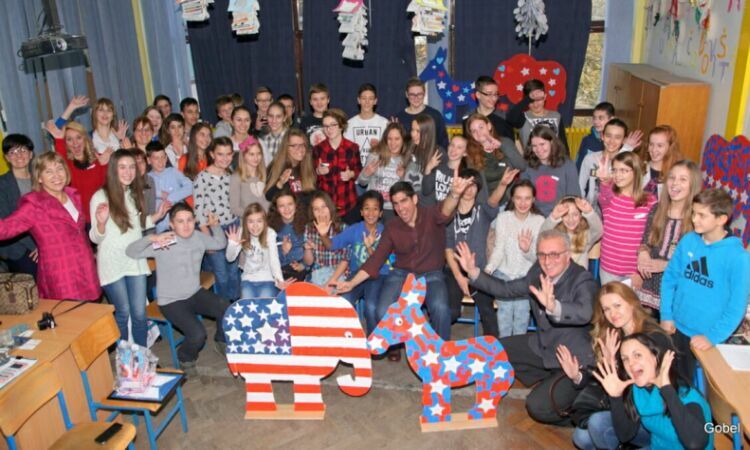 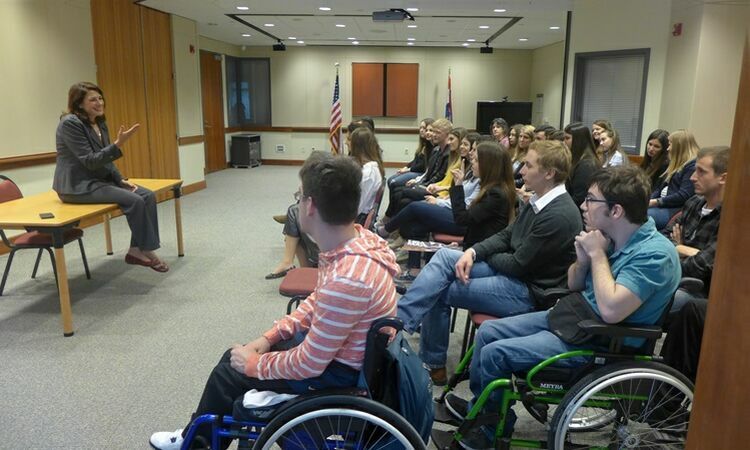 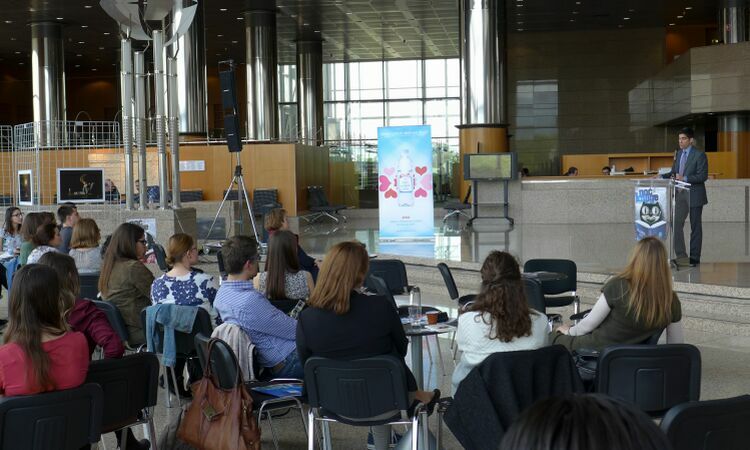 Students talked to representatives of various sections about what American diplomats do in Croatia. 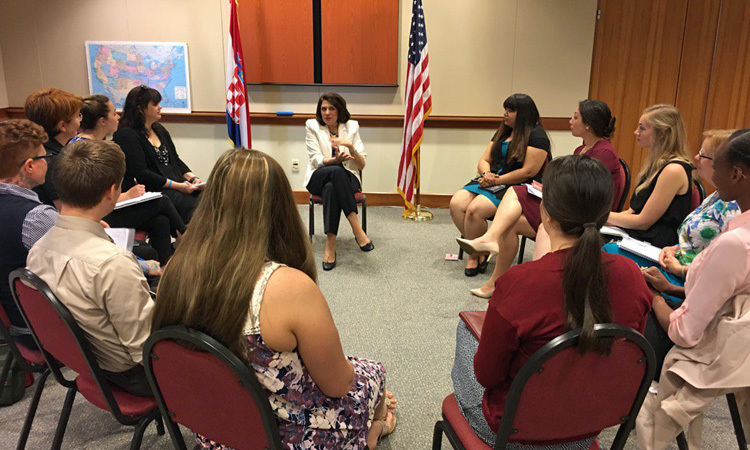 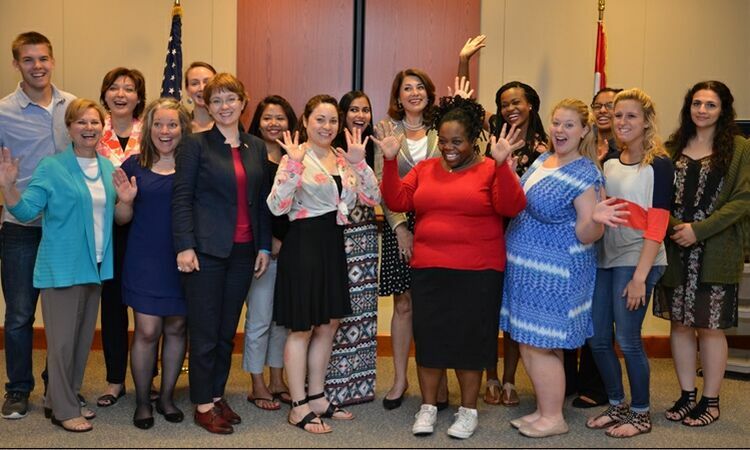 Ambassador Julieta Valls Noyes and other American diplomats met with a group of students from the Indiana University School of Social Work, who visited the Embassy on June 2. 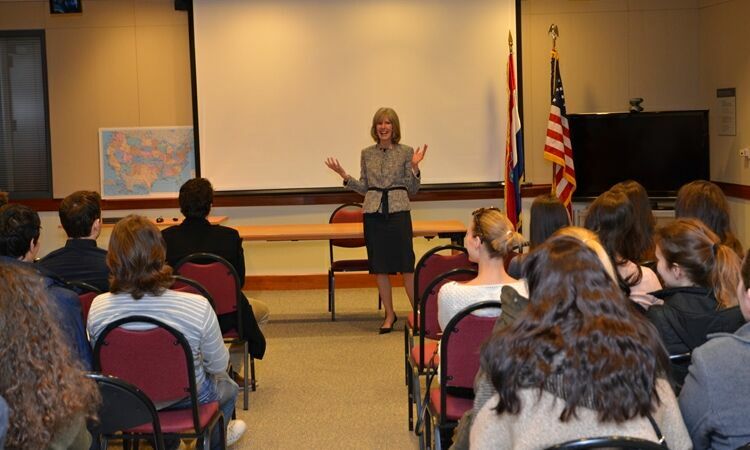 Ambassador Noyes greeted members of “Mlada pozitiva,” a Croatian NGO, during their visit to the Embassy on May 31. 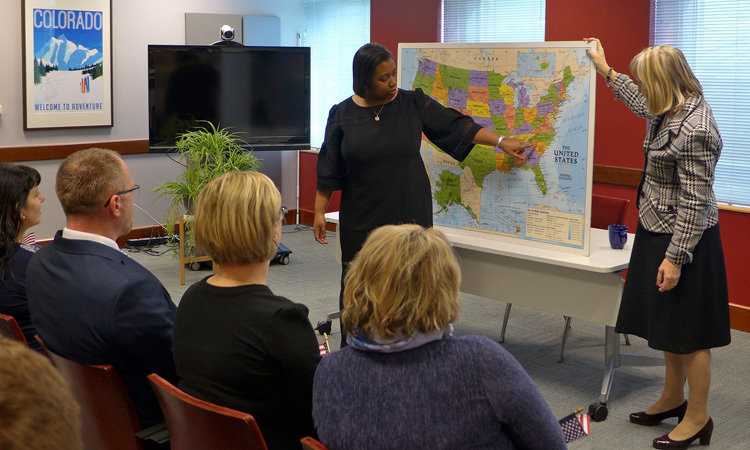 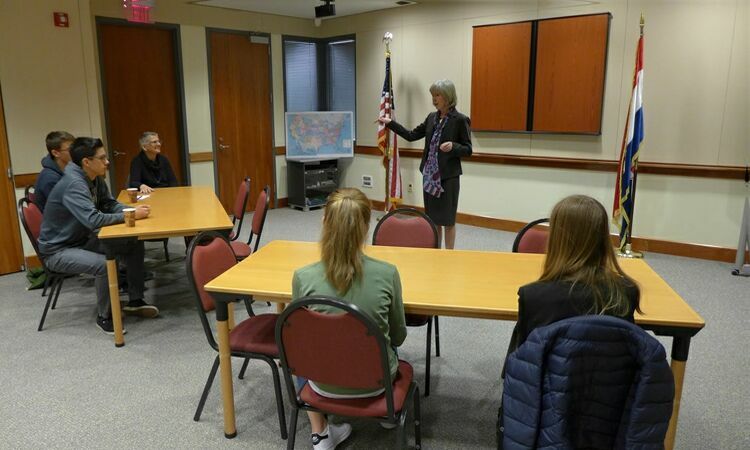 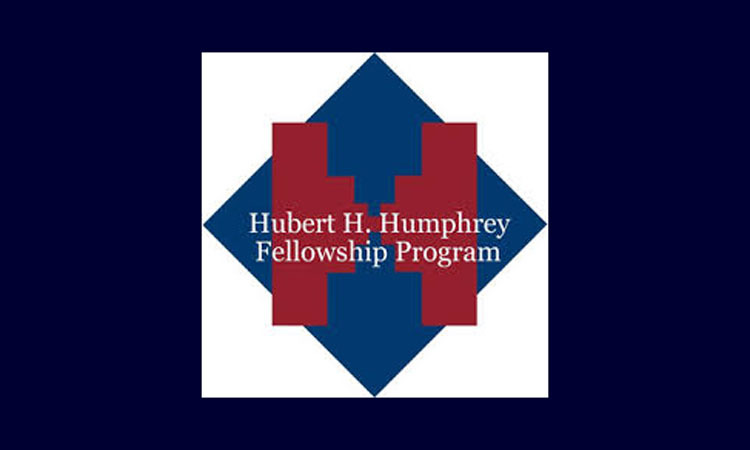 During the Embassy tour, students had a chance to speak with American diplomats about numerous issues, including U.S. elections, Memorial Day, and consular issues. 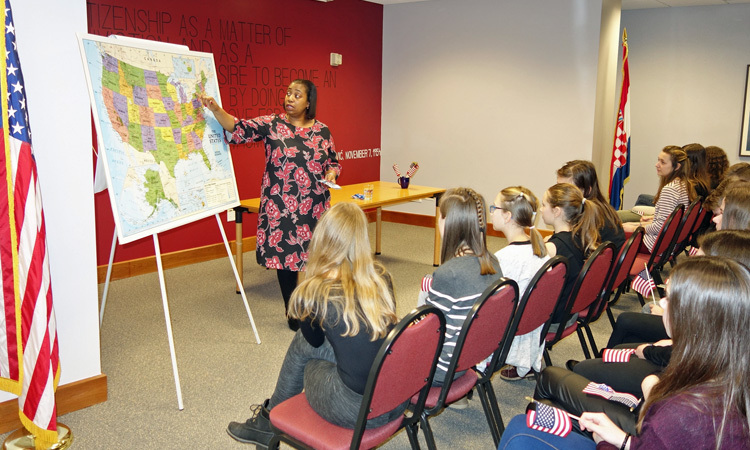 How Diverse Are the Native Americans? 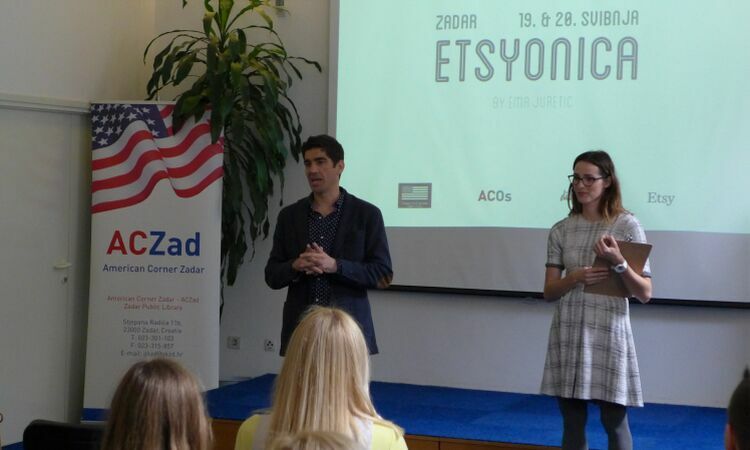 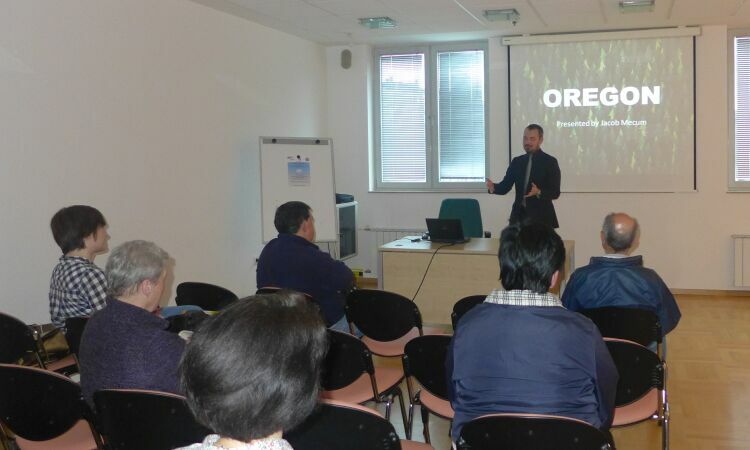 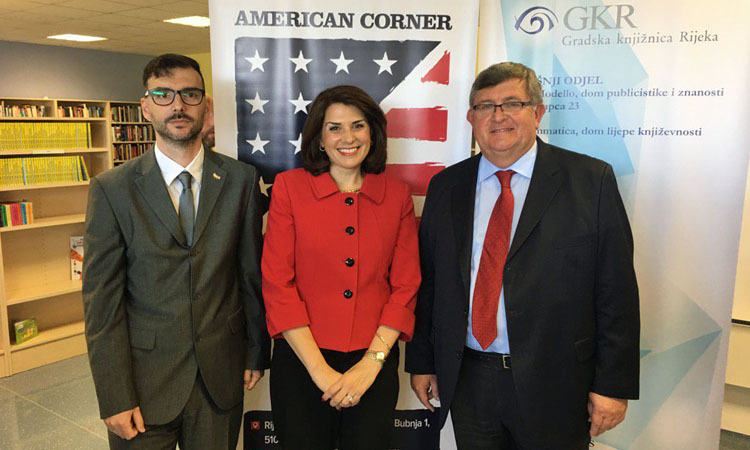 Jacob Mecum, Economic Officer, presented the state of Oregon to the audiences at the American Corner Zagreb on May 24. 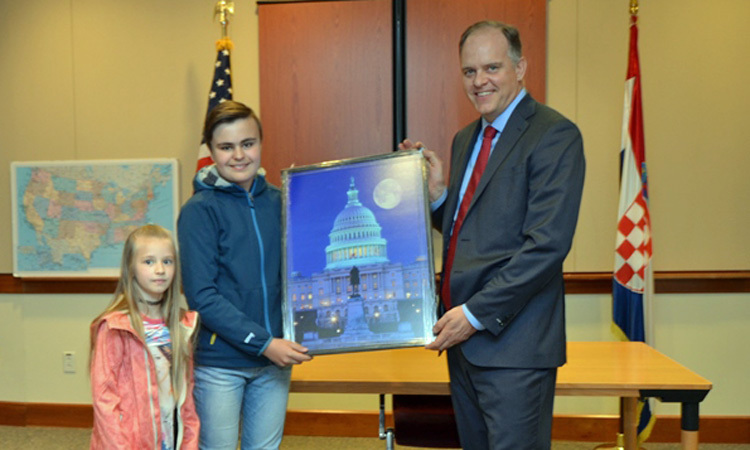 Mr. Mecum showed beautiful photos of Oregon and of the Native American tribes. 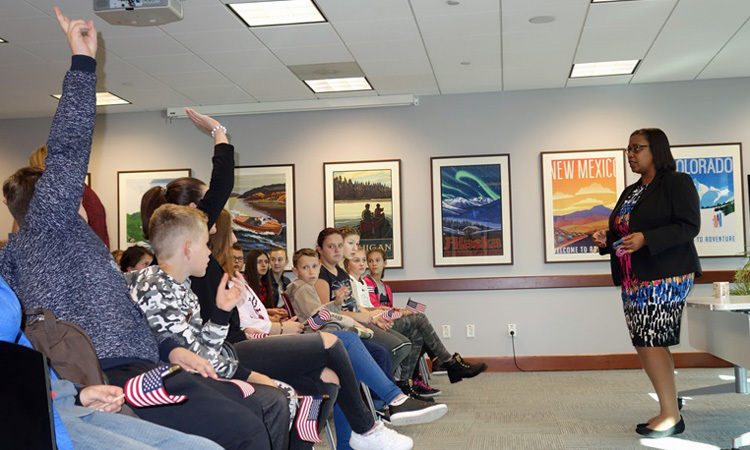 The audiences wanted to know more about the Native American traditions, their languages and their way of living. 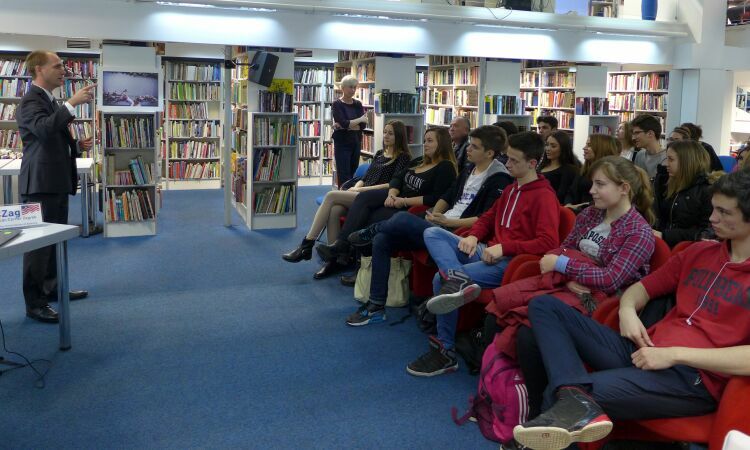 Christian Wright, Public Affairs Officer read “Advice, like youth, probably just wasted on the young” by Mary Schmich (Chicago Tribune, 1997) at the celebration of the World Book and Copyright Day hold in the National and University Library in Zagreb. 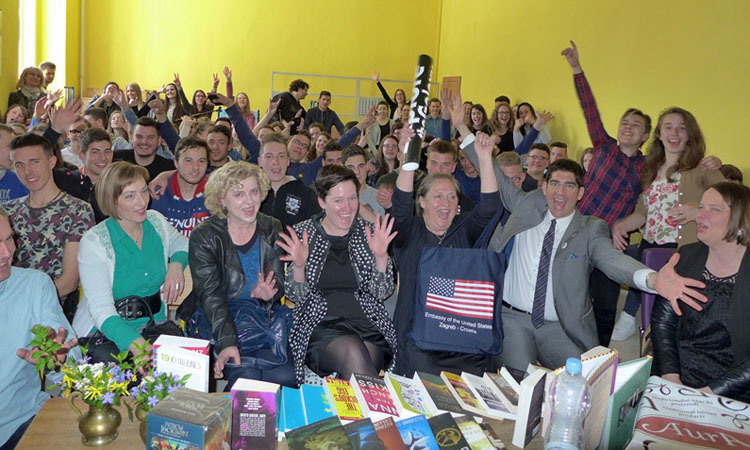 On April 22, 2016.